William Barton Rogers, founder of MIT, was an accomplished practitioner of mechanical philosophy, and had authored a well-used textbook on the subject. From the beginning, education in physics at MIT was meant to be a union of the theoretical and practical. 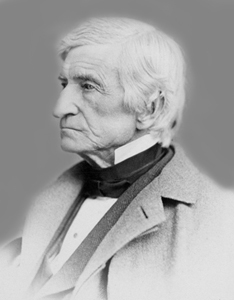 As William Barton Rogers, founder of MIT, outlined in 1861, a ideal School of Physics should endeavor "to impart a thourough knowledge of the fundamental principles of the several branches of physics, as mathematically and experimentally demonstrated; and then to conduct the more strictly practial instruction, as much as possible, under the guidance of these primary truths." Though Rogers is today best known as a geologist, in his time he was also an accomplished practitioner of "mechanical philosophy," and deeply concerned with its role in the new institute. For Rogers it was vital that the student would have hands-on experience with the tools and methods of physics, not simply with the concepts. While this idea may seem obvious today, it was quite a radical pedagogical shift in the late-nineteenth century, when it was still possible for an undergraduate to receive full training in physics without ever participating in a laboratory exercise. To accomplish his goal, Rogers proposed in 1865 that a new laboratory of physics and mechanics be created, one where "the students, under the direction of the teacher, will be called, by small classes at a time, to execute with their own hands various experiments in mechanics, pneumatics, sound, optics, electricity, and other branches of experimental physics." Edward C. Pickering, one of the first professors of physics, set into motion plans to develop a teaching laboratory in physics. Rogers' proposed laboratory, however, would be some time in coming. The Civil War was raging, and there were other pressing issues to attend to in the creation of the new institute. Rogers himself, while President of the Institute, was also its first Professor of Physics, as well as its first Professor of Geology. 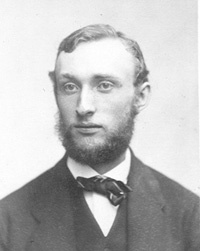 In 1868, Edward C. Pickering was appointed to a full professorship after having served as a lecturer for two years, and a year later Pickering wrote a "Plan of a Physical Laboratory," which, after it was approved by the Corporation, enacted Rogers' desire for a place where students would be able to experience physics "with their own hands." With the creation of the new laboratory, physics now had a home at MIT, but it was not yet an impressive one. Confined to a back room of the Architectural Department, the department was equipped only with ad hoc machinery cobbled together by Pickering himself. What it lacked in professionalism, though, it made up for in its novelty: students found the hands-on work stimulating, and forged deeper connections with their instructors, coming to "regard themselves," as Pickering remarked a few years later, "as friends and guests, rather than as pupils." In 1872, in honor of Rogers' contributions, the laboratory was named the Rogers Laboratory of Physics. A year later Pickering authored the first physics lab manual ever published in the United States, based on the work at the laboratory. For years, it was used as the basis of other lab work throughout the country. 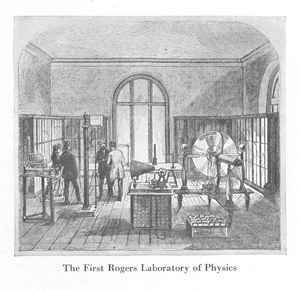 The first incarnation of the Rogers Laboratory of Physics. At center is a phonautograph, at lower-right is a bank of batteries, at far right is an electrostatic plate machine. Physics in late-nineteenth century America was not yet the booming field it would later become. Between the founding of the Institute and the outbreak of the First World War less than sixty undergraduate degrees were conferred by the department. Despite this, the interests of the department were quickly diversifying: during this period, the department offered the first courses in electrical engineering that had ever been taught in the United States, and pioneering work was being done by researchers at the laboratory, which Pickering and his successor, Charles R. Cross, had managed to turn into a productive research laboratory as well as a teaching space. Both Pickering and Cross embraced the budding technology of the electrical industry and integrated it into the research conducted by the department. In 1874, Cross invited Alexander Graham Bell, then a professor at Boston University, to use the facilities at MIT's acoustics and electrical laboratory. Bell's work at MIT led directly to his invention of the telephone in 1876, and a precursor to this invention, the phonautograph (which allowed the visualization of sound waves, but not the replaying of them back), can be seen in one of the only depictions of the Rogers Laboratory. By 1883 the laboratory had migrated into a much larger space in a new building equipped with modern electrical facilities. As the laboratory expanded, so did its research fields, spawning numerous sub-laboratories underneath the growing auspices of the Rogers Laboratory. For Pickering, the laboratory was not simply about teaching students how to make measurements and apply concepts they had learned: it was to teach them about how to be a scientist. "I have endeavored," he wrote in 1877, "to impress on all our students in Physics the principle that original investigation should be the great aim of every scientific man." For Rogers and Pickering, physics was, ultimately, more than equations and more than machines: it was a way of seeing the world, and its practice a way of composing the self. On the early history of MIT Physics, the best source, from which much of this is adapted, is H.M. Goodwin, "The Department of Physics," in A History of the Departments of Chemistry and Physics at the M.I.T., 1865-1933 (Cambridge, Mass. : Technology Press, 1933): 17-34, See also, Anthony P. French, "Physics Education at MIT: From Bell's Phonautograph to Technology Enhanced Active Learning," MIT Physics Annual (2005): 40-47, on 41. On Cross' electrical work, see Paul Penfield, Jr., "The Electron and the Bit: 100 Years of EECS at MIT," The Centennial Celebration of the MIT Department of Electrical Engineering and Computer Science, Cambridge, MA: May 23, 2003.